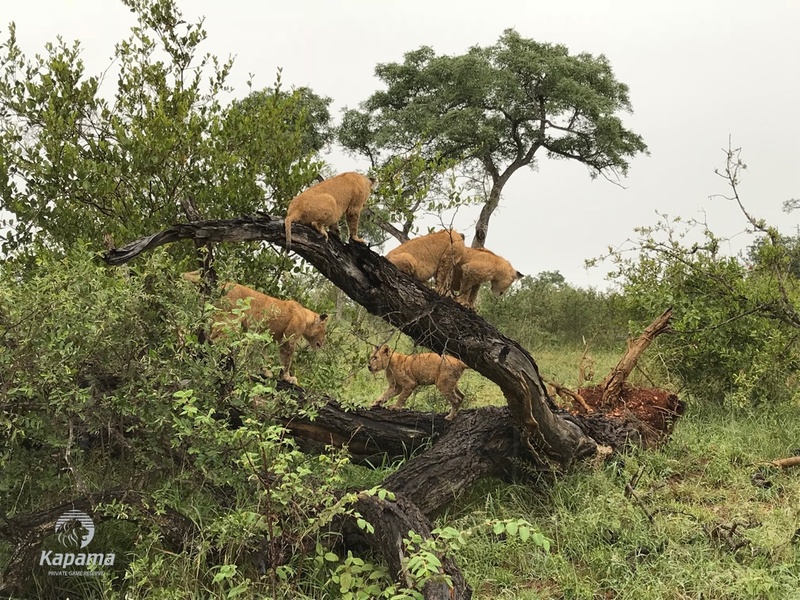 Rainy Lions | Luxury Safari Experts | African Safari Co. It was a dark and cloudy morning when I set off from Kapama River Lodge with guests to begin our early morning game drive. One thing I love about game drives is that you never know what big or small thing can bring unexpected joy, no matter the circumstances. We had been driving for a short while when it started to drizzle a little and made things slightly uncomfortable for everyone on the vehicle. But nature is nature and you have to take the good with the bad, appreciating all its hidden blessings. High up on my guest’s bucket list of animals was of course lions. We had been searching for male lions as this was their dream sighting, but they were yet to reveal themselves. As it was my guests last morning, the pressure was on to try to make their African dream materialize. Oh, boy were we in for a surprise! With the constant drizzle showing no sign of ending, we decided to brave the weather and stop at a local watering hole for a lovely cup of hot coffee to try and heat up our bodies. This gave us an opportunity to identify which animals were also walking about to and from the water in the unpleasant weather. No game surfaced so we packed up and headed off again as the rain was not letting up. I heard reports of a lion sighting not too far from where we were. I wanted to make my way there but my guests wanted to go back to the lodge. I explained to them, that this is all part of the entire African and bushveld experience and it may well be worth it. I could see the conflict on their faces as the constant drizzle was by no means enjoyable. I was so pleased when they all agreed to continue with the game drive. As I turned to move in the direction of the sighting, the atmosphere behind me changed completely. I could sense their increased energy and excitement around this new found “Lion Adventure”. Would they get to tick a male lion off their wish list after all? I neared the area where the lions had been spotted. Wow! What a surprise. 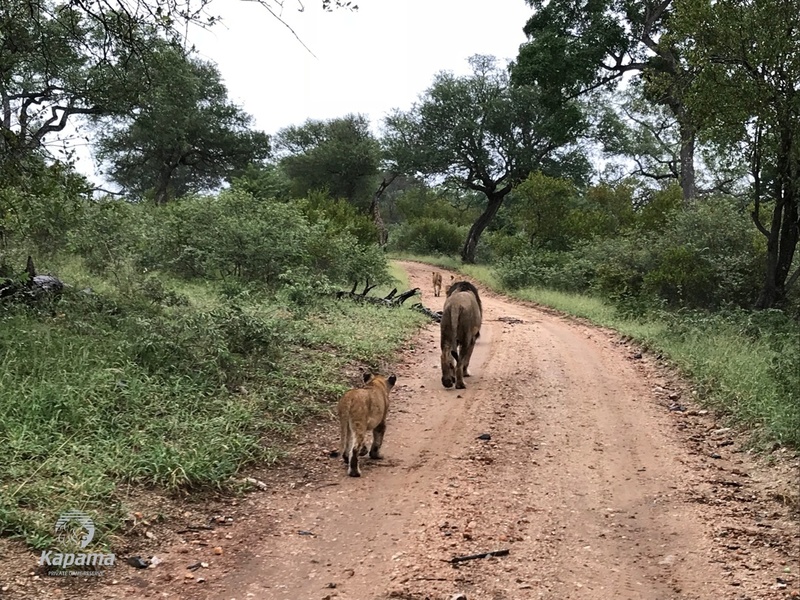 I rounded the corner and there in front of us was a female lion chasing a big male giraffe down the road. In my experience, I could assess that there was no intention of her actually making a kill. It was still an interesting sighting and rather comical seeing her halfhearted attempt. 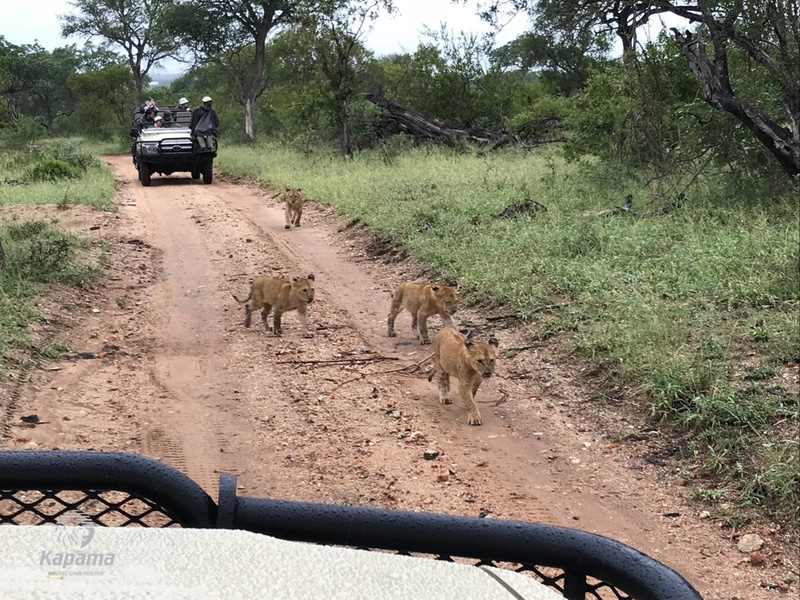 Not only did the female lion put on a show for our guests, but there were young lion cubs as well. They climbed an old dead stump next to the vehicle and played around with each other like only little cubs can. This just brightened up the guest’s spirits and hearts, helping them forget all about their awful state of being cold and miserable. That just made the whole day and game drive in the rain worth it. With smiles and clicking cameras, we left the scene to head back to the lodge when out of the bushes, a male lion graced us with his presence. The jubilation on the back of the vehicle was contagious. Finally, my guests could tick it off their bucket list. 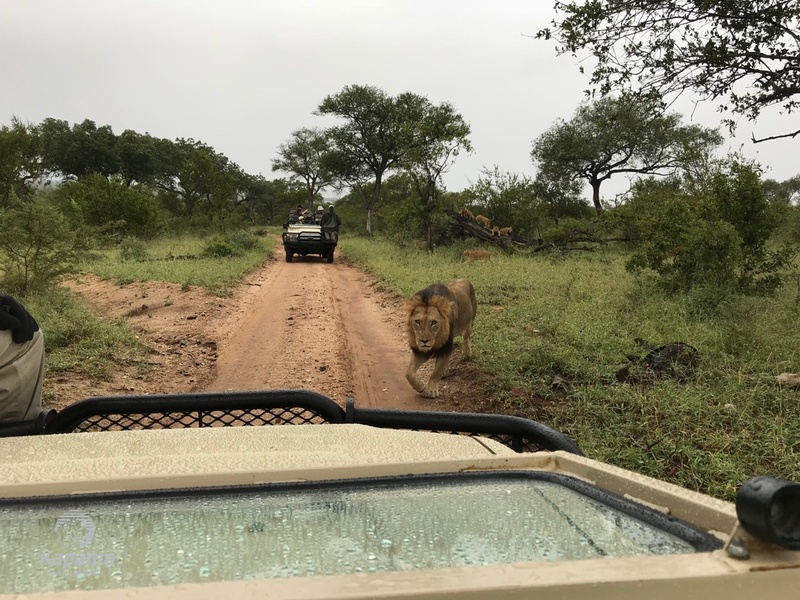 A perfect Rainy Lion African Adventure!